Commonly overlooked sensory symptoms and signs of sensory issues that could be a clue to your child’s needs, which will decrease confusion and frustration. Sensory processing can be very complicated and the truth is many parents have never heard about it. Some realize their child may have some sensory issues that sometimes cause odd, confusing, or frustrating behaviors. When I find myself in these situations, I usually feel a bit stuck because sensory isn’t exactly a quick topic, especially for parents who’ve never even heard about it. If you’ve found your way here, my bet is that you know at least a little something about sensory, but if not, that is okay, too. Either way, I have an exciting solution to that problem, but before I get to that, let’s talk more about these sensory symptoms, or as like to call them sensory red flags. What are Sensory “Symptoms” (aka Red Flags)? A sensory symptom or sign of a sensory issue is anything your child does that indicates their sensory system needs more sensory input or less. That need happens because of the way their unique brain is “thinking” about the sensory input its receiving. Hopefully that didn’t confuse more! Let me give you a REALLY simple example. 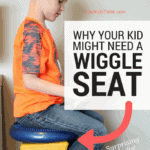 My son loves to jump on the furniture, this is a sensory symptom for him because I can see that he is trying to get more sensory input when he’s doing that. I wanted to write about a few of the most overlooked sensory behaviors or red flags, so that you can begin seeing why your child does seemingly odd or unusual things. Understanding why your child is waving a sensory red flag, or displaying signs of sensory issues, will help you help them! But before you even do that, you need to know what the heck this sensory thing is all about anyways? Because I know, that as I sit and write this, many of you are feeling overwhelmed or frustrated. It’s a reaction that I’ve seen too many times to count, and, to be honest, it gets my anxiety going up because I want to help you! I know the solution to that frustration and overwhelming feeling. You will learn how to figure our what your child’s sensory needs are, and better yet, how to address them. You won’t want to miss this opportunity. Grab your seat! There are loads of possible sensory symptoms your child may be exhibiting, but I’m going to share 10 with you that I think are missed most often. Meaning parents just don’t realize that sensory is the cause of the action, tantrum, or odd thing their child is doing. Before we dive into these behaviors, I want to make it VERY clear that just because your child may have one or several of these red flags, it doesn’t mean that they have sensory problems, autism, or any other diagnosis. We ALL have sensory processing needs and differences. Seeing your child’s behavior through the sensory lens will allow you to understand them and support their needs, which means less confusion and frustration for everybody! And, if you’re concerned that your child’s sensory issues need addressed by a professional then check out sensory integration therapy. You’ll find a guide to walk you through figuring that all out so you have peace of mind! 1.Avoids Movement – If your child gets scared at climbing playground equipment, roughhousing, or riding a swing, they are likely avoiding vestibular and possibly proprioceptive input. Those are our sixth and seventh senses that give us our sense of balance and body awareness. 2. Gagging at the sight, taste, and smell of foods – Although not always sensory, gagging immediately when confronted with foods is often because the oral system is being overwhelmed. Read more about sensory issues with food. 3. Frequently walking on toes – Children often do this because they are sensitive to the sensations they are feeling on their feet and prefer as little of their foot to be touching the surface as possible. Sometime children toe-walk because they like the pressure it puts on their ankle, which is more proprioceptive feedback. Or, it can also be the result of a vestibular system that isn’t processing properly, read more about that here. 4. Clumsy – There are a variety of reasons that a child may seem to fall or bump into objects more than other children, and one of the most overlooked reasons is because the child’s proprioception and possibly vestibular systems aren’t working too well. 5. Hides at parties or avoids them – If your child hates going to parties or other public places, it is possible that they may be overstimulated by the noise, lights, and/or people accidentally touching them. For kids that have this response due to a sensory processing difficulty, a party can be downright torture as the sounds, sights, and unexpected touches can just be painful to them, literally. 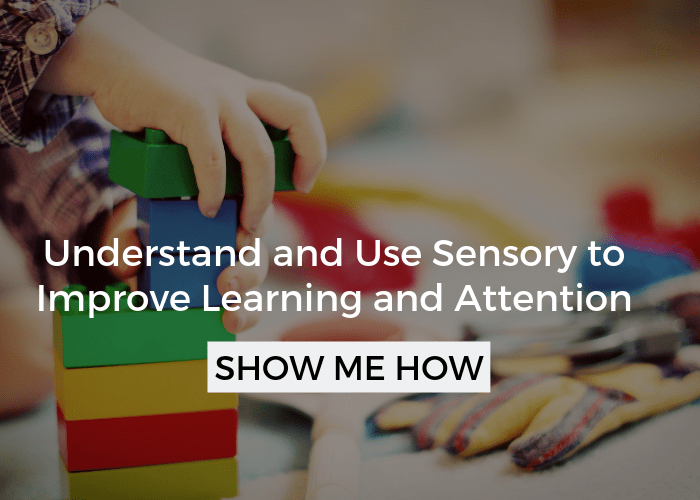 Head to sensory sensitivity in kids to learn more. 6. Prefers tight clothing – Sometimes kids will want to layer clothes or wear really tight fitting clothing to give themselves more proprioceptive input. It may seem strange, but the sensation they receive is calming to them and may even help them focus better. Or, your child may be extremely particluar some sort of fabric. This all relates back to sensory. Head over to sensory issues with clothing to learn more. 7. Wild child– There are a variety of reasons that kids seem to bounce off the walls at times, but kids that always seem to be jumping, climbing, running, pushing, and roughhousing are typically seeking out proprioceptive input, and sometimes vestibular as well. Unfortunately, these kids are often described as “bad” or wild, but really, they are just trying to get their needs met. 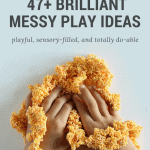 Click here to read more about sensory strategies for wild kids, and a three part plan for “dealing with” hyperactive kids. 8. Likes bright, fast paced TV shows – I know a lot of kids like these types of shows, but if your child only wants to watch fast, bright shows, than it may be an indication that they want more visual stimulation. If that is the case, your child may also like looking at lights and brightly colored or high contrast books. 9. 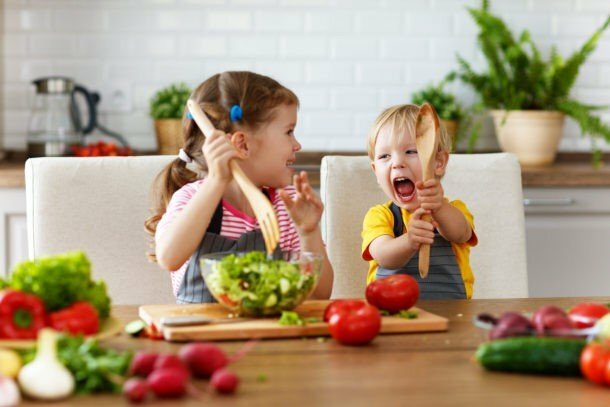 Bites toys or people when unprovoked – If your child seems to bite others or their toys often, usually for no reason, they are probably looking for some deep, intense proprioceptive input. 10. Doesn’t seem to notice when being talked to or needs directions repeated – Yes, sometimes kids ignore, and sometimes this is normal, but if it is a frequent recurring issue than it is a sign that your child’s auditory or hearing system is not processing information well. Does Your Child Have Sensory Symptoms? All of these behaviors are like a red flag that your child is waving to tell you something about their sensory processing. It is a clue into what they need from a sensory standpoint (click here to read about understanding your sensory kid). 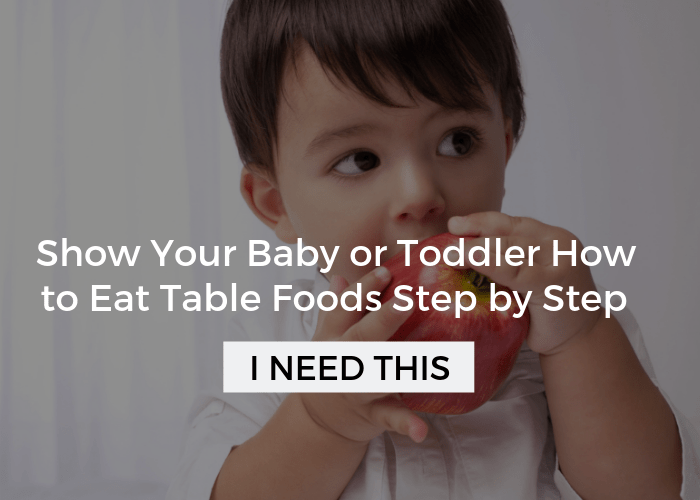 That need may be help avoiding something like bright lights or seeking something like chewing on toys. Learn what a sensory diet is and why and it can be the simple tool that changes everything. Consider if proprioceptive activities will help calm, focus, or alert your child. Use this sensory diet template to put a plan into place for your child. And for a short time, you can grab a seat in the free sensory workshop I co-host, which is packed with info you can start using now! How About That Free Sensory Symptom Checklist? You won’t want to miss this, I combined all of the sensory symptoms and signs of sensory issues listed here and 11 more from part two of this post, aptly named: 21 Sensory Red Flags. 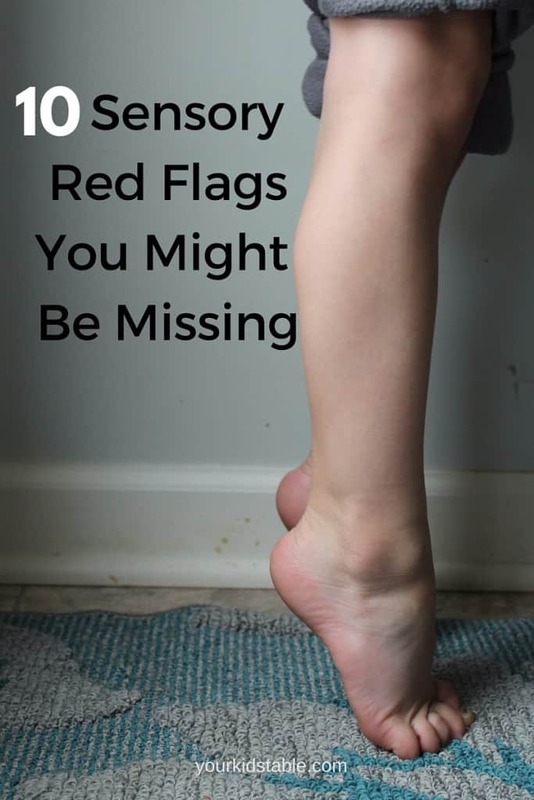 You’ll want to check that post out, too, for all the details on those red flags, but make sure you snag your free sensory red flag checklist right here! I like that you say “may” in these descriptions. The reason being is that I exhibited three of them when I was little and some people would be hollering “red alert” over that. Clumsy. I didn’t walk until I was 18 months old. My coordination was spot on; however, it seemed as though I simply didn’t trust my legs. Turns out I was blind as a bat. I was wearing glasses by the age of 2 and all signs of clumsiness / wariness / hesitation were erased. My mother says I was a different child after getting my eyes adjusted. Sometimes it’s a good course to rule out the super simple causes first. “Frequently walking on toes.” They could want to be taller, as was the case with me. I didn’t only frequently walk on my toes, I dang near Always walked on my toes because my “little” brother outpaced me in growth and I was always mistaken as the youngest (I was adopted from a short family by a tall family – “li’l” bro is 6’5″ now and I’m not Quite clearing 5’5″). The solution was to make myself taller than him by walking around the house like a ballerina. I also got ignored often because my family is loud and I’m quiet. Standing on my toes was an effective way to get recognized. I can’t tell you how many times my mother asked, “is in the car? !” I was so quiet she always thought they’d left me in some Home Alone scenario. I was frustrated by being interrupted and talked over one evening that I made up a rule that we had to raise our hand and be recognized before we could talk. That lasted 5 minutes. I hid at parties because I didn’t like people. To a point I Still don’t. They ask too many questions about things they’re going to forget in ten minutes, talk about frivolous things solely to be heard, or are utterly unaware of themselves (think of the lady at the grocery store taking up the Entire milk row while talking on her phone, grrrr), and lastly, I’m introverted. I would rather be surrounded by my furry companions and other things I like, rather than people. My family is the complete opposite – social butterflies. I usually brought a book along with me (coloring when I was little, chapter or puzzle as I got older) when they’d drag me to parties. Nowadays I say hi to the host, then beat a path for the door or, if escape is unattainable, I’ll find the rest of the introverts and “hang out” with them (we sit or stand in proximity to one another while rattling around in our own heads – and we’re happy there). I also enjoy people watching as opposed to interacting. The things one can learn when one’s mouth is closed and ears are open. Thank you so much for this article and for spelling out what sensory needs are so clearly – as a teacher of 5 year olds, I am noticing sensory needs more and more all the time and so often it is so difficult to explain to parents the need for going to an OT. This is a great reference tool for me and makes it so easy to understand! So a huge thank you again!! Thank you so much Kerry! I’m glad you found it helpful! Hi, my 4.5 yrs old is going to a speech therapist who pointed out that he does not have speech delay but a sensory issue that he cannot process what he is hearing, point number 10. Any more details on that? Yes, so this is all about the brain “processing” the noise he’s hearing. It’s usually a problem when kids are focusing on something else. It’s like it doesn’t register in the brain. Getting their attention by touching them so they turn to you is extremely helpful. Great article! It can be so easily overlooked, so this is great info! Hello. At what age do you become concerned about sensory issues? -He hates large family parties, he becomes so overwhelmed, that we have started taking two cars, and I usually leave early with him. -Public Restroom – hand dryers scare the bejesus out of him! He trembles every time I lay him down on the changing table! I try to out off unless absolutely necessary. -He hates pureed foods; we ended up going straight to regular/small bites. He won’t eat apple sauce, yogurt, or oatmeal. I have to make the oatmeal almost like a paste for him to eat it. -He sometimes doesn’t respond when talked to. When I tell him no, with a firm voice, he just stares at me like he doesn’t know what I trying to say. -He doesn’t say words, but babbles a lot to himself. Up until about a month ago, he would yell ‘Ahhhhh’ really loud for 5-10 seconds at time (occasionally changing the pitch). -He loves playing with water, but curls his legs into himself if we try to set him down on the grass. -He just started crawling couple of weeks ago, and he has no desire to stand/walk. His pediatrician is having us go in for a hearing test, but brushed off my concern of sensory issues stating that he was too young. That he doesn’t worry about sensory issues until years down the road. In my experience, sensory issues can absolutely be present this young and often are. They typically don’t develop out of nowhere. I know it can be tricky hearing conflicting advice and you can look into free early intervention services if you live in the states. Click here to find out more about that. Also, it might be helpful to learn more about his sensory needs. I have a free workshop that might be helpful to you, so that you can start helping him at home. Cari, you have some very good questions and observations and I am sorry your pediatrician “brushed off” your concern. 13 months is not too early to find support for your concerns!! I am an Occupational Therapist and work with children aged birth to 3 years old. I work in Early Intervention. There is no cost to have your child evaluated for Early Intervention here in the U.S. at this age for any of these concerns. I do not know if this is a more serious set of problems or not, but an OT can give you some strategies to help and suggestions for play ideas, things you can do with him right in your home. A hearing test is a very good suggestion, but I also recommend you repeat your question about sensory issues and his lack of a few words at this point. There is help if he needs it!! 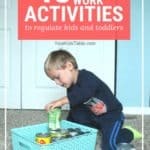 I came across this blog about the 10 red flags and honestly, I have been concerned with my almost two year old son but never really thought of this. My son displays a lot of these behaviors.. he has just recently over the last couple months started the gagging with food but over the last month he chokes on EVERYTHING. He is indeed what you call “a WILD child,” but we always get “he’s a boy, toddler… terrible twos!” Loves the fast paced tv shows. He has just started a behavior that he will hit his mouth or tongue randomly? And he can say a few words but not as many as I thought he would at this age.. And lastly, he can be like talking to a brick wall. I, always told I’m over paranoid because of his age but should i be concerned? Brianna trust your instincts! So many people don’t understand sensory and dismiss it quickly. I’d definitely look into early intervention and get an eval, if for nothing else but peace of mind. Hi,my daughter is 9 and walks on her toes clumsy and the list goes on.she hasn’t been diagnosed with nothing. She’s is struggling at school with her work etc. Is it possible the I can talk to you. Hi Olivia, it does sound like there’s something going on that’s worth looking into. Can you request an occupational therapy eval at school, you may have to get a little demanding. I’d also check out this post on other ways to get an eval. Hi, I have a son who is going to be 4 next month and I feel could have a sensory issues. He walks on his toes, afraid of playground equipment as in won’t even climb up the stairs or go down the slide, runs back and forth, and doesn’t ware clothes. He also loves to just jump on a trampoline for hours. I don’t no if I’m just looking for something as I have another child with Autism but he doesn’t act like this . I’ve been told he could just be coping his brother. Would these signs? Figured I’d talk to his doctor but feel I’ll just be blown off as he doesn’t have communication or other issues like my other son has. It was nice and helpful article. Anyway, i have a 2 y. O. son. The problem is he feels uncomfortable to wear shoes/flip flop. When i convince him to wear them to protect his feet, he always reject them and even screaming. Therefore, until now, he goes everywhere with barefoot. Besides that, sometimes he feels uncomfortable with noisy sounds. Are these included as sensory red flags signs? What should I do? Glad it was helpful Seema! Should number 10 be a concern with a 2 year old? I feel like he doesn’t hear anything we say. His hearing is fine. Hi! My 4 year old is a wild child in many ways, running, jumping, not finishing 1 activity before atarting the next,not sitting still while doing en activity… But also, he is sensitive to noise,not all noise, but we had him in pre school, but he couldn’t handle the noise. I have read the other articles about the wild child, but how do I help him with the noise? He need to go to school soon. My son (12) has known sensory issues. Most, we have learned to manage or are less obvious than when he was younger. I think it’s interesting that you mentioned lights and bright screens. Even as an infant, my son would crane his neck to stare at lights. Now, he is a child who cannot tear his eyes away from any type of screen if it is in his view – almost hypnotically so. He used to have big meltdowns after screen time, and now he often still has very intense emotions and/or becomes very impulsive or spacey after screen time. I’ve always suspected it was related to sensory issues, but no one ever firmly confirmed it or gave us tips for management. Besides letting him stare at screens unrestricted, what are some other ideas to help meet this sensory-seeking need?? Visual needs are challenging for sure! I do think its a balance between letting them have some of the input they are craving and putting boundaries on them as well. At his age you can talk this out together, this will get him to buy in! Come up with a schedule and restrictions that you can both feel good about, set timers if need be. I’d also consider other visual stimuli that might help him meet his needs, could be a lava lamp while going to bed or a light up fidget spinner. There are actually a lot of bright, light up fidget like toys that would be age appropriate. I have an also 10 month old. As a very young baby around 3.5 months he startin showing signs of not wanting to drink his bottle and at times would absolutely refuse to drink. He then was diagnosed with a milk protein allergy and reflux which we have been on meds for are getting ready to have his first scope to look in his stomach. Even still to this day he has to be distracted by watching a movie on my phone or asleep to drink his bottles. When we started solids at 4 months he did well but wasn’t gaining enough weight so we stopped baby food and did just bottles until 6 months. When we started back on baby food he ate them wonderful and seemed to really enjoy it. 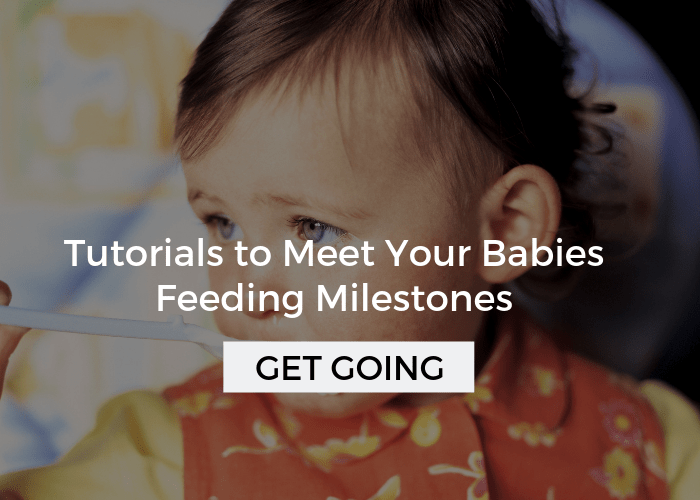 However over the past month baby food has increasingly become harder to feed as well. He needs distraction with that too. So we have moved from the high chair to the living room for the exersaucer or floor seat where he can play with a toy or watch tv and eat. And now even this is starting to let us down. At times no matter what he just will not open up to eat. He still will only eat stage 2 baby food and has absolutely no interest in putting food in his mouth. He will put every toy know to man including my fingers and chew on them all day long, but no interest in food. When I have tried to give him stage 3 food he gags I’m looking for any help out there. He is meeting all his other developmental milestones. He says mama and dada and likes making the shhh sound and bybyby babble. He started crawling at 7 months and at 8 months started pulling up and walking holding onto furniture. And now he will even use walk behind toys to walk through the house. Our only main issue is feeding. What advice can you give me. Oh my gosh Stephanie, you’ve come to the right place! I have a lot of articles that will be really helpful for you. I will say that it sounds like he’s outgrown baby foods which is normal at his age. 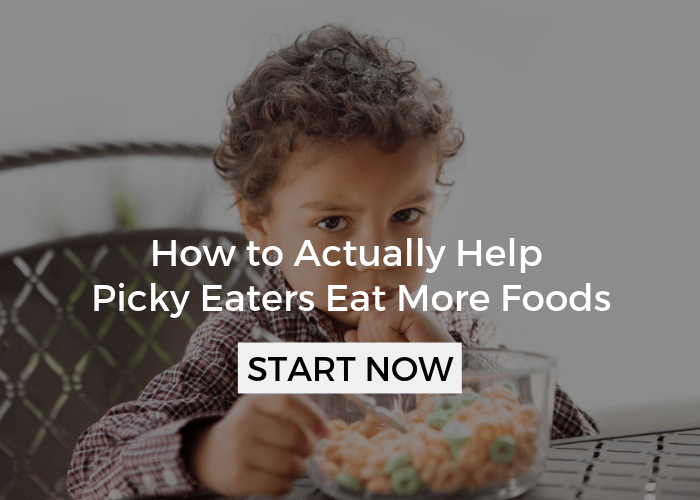 I want you to check out this new article that will be perfect on getting baby to eat solids, but focus just on using the carrot/celery and play with food. Then I want you to head to How to Transition to Table Foods. 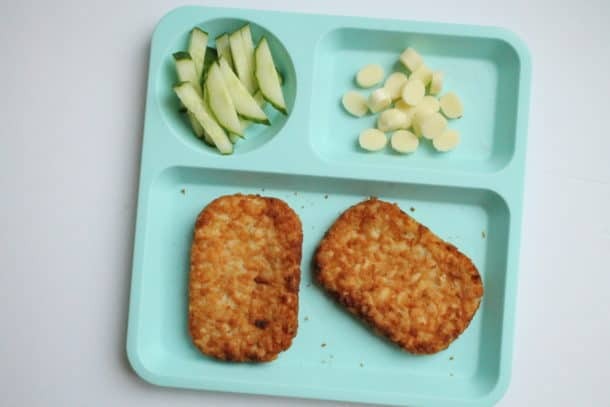 Lastly I want you to check out this article about screen time and eating. Take a look at those and let me know if you have more questions, its a lot of info, take your time going through it! What causes a child to have sensory red flags? I’ve had to start homeschool for my 7 yo son because of all of these sensory red flags because the school wanted me to put him on medication for ADHD and I refuse because he doesn’t have any issues with focusing so it really didn’t make sense to me that it would be a cure for his overactive behavior. I’ve even asked my pediatrician if it could be SPD and they just look at me like I’m crazy. Finally this year in basketball I had another mother come up to me and ask me about my sons obvious SPD because she was a special education teacher and she wanted to help because she saw he was having problems and wanted to offer solutions. That’s a great question Crystal… to be honest nobody knows for certain, but research suggests that it can be genetically connected (and I’ve definitely seen this may times), there’s also a higher chance with preemies because the sensory system is the last thing to develop in utero. Sensory differences can sometimes just be that and can be supported and even change over time. Sometimes those differences are significant enough to be a diagnosis, SPD. It sounds like you’re on the track to getting more help, but if you didn’t already see it I’m going to be running two free live workshops with a good friend and sensory guru herself in a couple of weeks. I think it will be REALLY helpful for you and you’ll get to ask us questions about your son. You can sign up here. My two year old is still constantly putting everything in his mouth. He is non-verbal right now. Any ideas on how to help with the oral stimulation? Oh yes, Lauren! I actually have a whole article on the topic and it’s just what your looking for. 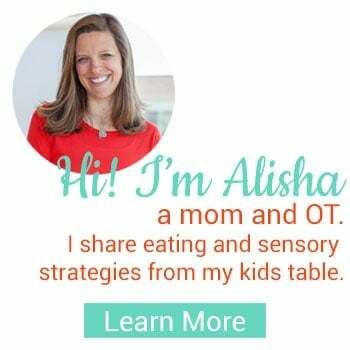 Click here for everything oral sensory and let me know if you have any questions! Hi I’m an adult with spd diagnosed as a child tho apprently according to the doctors they can’t diagnose it in an adult. I have issues with concintration balance and I seem to not be able to remember to do things such as brush teeth and what not. I also have trouble with my writing expressing myself and often say the wrong thing. I have issues understanding sarcasm or jokes and jump at the slightest things. It has also made it hard to physically do things like driving a car and catching things. I also have really weak lower arm and hand muscles and the upper ones seem to get all the muscles when I do things is there anything on adult spd. Or these particular issues I tipsy toe walked all the time. I’m glad you reached out and hope this is of some help, let me know if there’s anything else I can do! We have an 11yr old son that crosses his arms and tucks his hands into his armpits and squeezes himself tightly. He does this constantly day in and day out. Any thoughts? Hi Michelle, this may be a habit he’s developed, but there certainly are sensory needs he could be filling by doing this. When he does this he is giving himself a lot of proprioceptive feedback, that is deep pressure, which is very calming in general. Has he always done this? Does he like big hugs or to crawl into tight spaces? Those are just a few other signs that he is looking for that input! HI! Can you elaborate a little more on 10? I can be right in front of my son, saying his name and even waving my hand in front of face and he doesn’t seem to realize i’m there. He just started kindergarten this year and it’s becoming quite a problem in school and with peer interactions. Hi Kylee- I’m assuming you’ve had his hearing checked and that isn’t the issue. What happens is that some kids aren’t registering the sound, when its related to sensory processing, it’s not that they can’t hear. Tapping your child can be helpful and reaching out to touch them, as well. If possible, I’d recommend an OT evaluation from the school due to suspected sensory processing difficulties. This will be free to you and at a minimum the OT will give you and the teacher some helpful tips. I’m a 39 yr old Autistic man. Here are my red flags. It varies, each of us on the spectrum is unique. For me, it takes a lot to make me overload / meltdown extreme (we’re talking like, a lonnng day of socializing/shopping followed by someone yelling chewing me out for awhile while a baby cries and a jackhammer outside the window while birds chirping or something…. But, if you notice signs of sensory overload don’t panic, but don’t do anything to overload my senses– I can calm myself MUCH faster if left alone so if I’m a 6 or higher plz do so, thanks, nothing you can do to help, truly…..
Hi! My foster son is almost 2 and he has dealt with what I feel are sensory issues. I have mentioned it to his feeding and physical therapists but I don’t feel they are thinking its SPD. He has had feeding issues since birth first with the bottle then with whole foods (he was drug exposed), generalized muscle weakness, and a visual impairment. He seems to see ok but might have some issues with depth perception. His current issues are still pulling food out of his mouth (he used to gag, now he pulls it out), he chokes on water a good bit, he runs and drums his stomach constantly, squeals and screams and has no concept of quietness, hits, runs into me full blast all the time, has sleep disturbances, he won’t step down from anything that he climbs up on, frequently finds a corner to center himself, and has an issue crawling under things like tables or chairs. I know that’s a lot. I have used a therapy brush with him and he will bring it to me and ask for me to brush his hands and feet, and I’ve used vibration to help with feeding. He is going to be re evaluated for Ot next month but is there anything else I can do to advocate for him? I don’t know if I need to try to contact someone different or what? He’s so intelligent but is struggling with social behavior/just how to function normally. I came across your website because of the toe walking. My daughter is 2 yr old and she walks on her toes, which we find cute. However, she still puts everything in her mouth and oftentimes bites it. I have to tell her numerous times to take an object out her mouth and even take it away because she refuses to do it herself. Is this something I should be concerned about or is she just being strong willed (she’s cutting her last molars right now). Hi, I’m not sure if my child has Sensory issues. He is 10+ and I have noticed he refuses to walk bare feet outdoors,Scared of heights, highly protects himself, scared to play on swings,sensitive towards tight hug, Always down with blocked nose, extremely soft spoken, extremely well mannered, and the most important lack of confidence and concentration. Dosen’t like to study. He has very short span of interest while it comes to academic. He hides his hw saying I finished. Dosen’t finish his class work . I’mean really concerned. Thanks so much for this list… A great resource for my concerns when trying to explain at an upcoming Dr appt. Thank you for these tips. We do a bit of it already, but I will try to implement more of it. I have an almost 2 year old who has become more and more sensitive to noises in the past few months. Gardeners, garbage trucks, and cars are the most troubling to her. This even crosses over when they appear on her favorite tv programs or if one of the words is casually mentioned. Is there a way for me to do more than just reassure and comfort her? Is there some type of low-level therapy I could do to help? I studied to be an OTA for a while in school, so I am vaguely aware of much of what was talked about in this post but would love some additional advice if you have any. Thank so much! This is a tough age because she is now fearful. I would play some games with here with cars vrooming- just making noises with your mouth. You could also try using noise makers and whistles for fun. Lastly, you could also read books and play with garbage trucks and try to reassure her when her anxiety goes up. You may need to take this in baby steps. Is there a particular age in which these become red flags? In other words, are any of these behaviors ever “normal” at certain ages? I have an 18 month old who displays some of these. Useful and informative, thank you! My 8 yr old son stands and walks on his tip-toes. Constantly. He will never walk with his feet flat on the ground unless you specifically tell him to, and then he’ll only do it for a brief moment and go back to his tip-toes. I’ve asked his pediatrician about it and after checking to make sure his muscles were okay, she says it’s just a habit and that once he realizes how it looks to other people, he’ll stop it on his own. But he’s 8, and he says he doesn’t care how it looks to other people, that it’s “just how I walk”. Now after reading this, I wonder if it’s something more (which I’ve wondered all along)? What does “proprioceptive” mean, in this case? Also, in terms of proprioception (also described further in sensory basics) walking on the toes puts a lot of pressure on that area of the foot and ankle, which can be sensory input that a child may be seeking. Thank you so much. Lots of good information in that link. Interestingly, he has great balance and seems to crave making himself dizzy…he’ll spin himself round and round for half an hour at a time, just for the sensation. It makes me dizzy just looking at him, but he says it’s soothing…he also says walking on his toes is soothing. I love the at-home activities I can try with him. Can you help me with one more thing? Who do I go to in order to get him evaluated if this continues? He is homeschooled, so we don’t have access to typical resources. I don’t know where to go with this if he ends up needing some help with it. He does very well with his schoolwork, though I think if he were in a classroom setting he’d have trouble staying still all day. My 4 year old is a pediatric stroke survivor. She has always seemed to need lots, okay TONS of sensory input. She spins in circles, jumps down the stairs, jumps off the couch, prefers walking on rocks, bites, and has crazy meltdowns when she gets too much outside input. Say we are in Target and its really sunny, and their are lots of people there, she starts freaking out. Too much noise and she covers her ears, but she likes putting her music on loud (maybe if she controls it?) She is only in preschool 2.5 hours 2 days a week, and neither her neurologist nor her pediatrician have said anything about sensory issues. Also, she was having issues gaining weight (her BMI was below 5% for most of her life) until we started putting her food on a divided plate. I wish we would have known more 19 years ago. My daughter has pretty severe SPD. I basically had to bully and nag to get her help. One of the best things we did while we were trying to figure out what was going on was a Montessori preschool. They have a sensory curriculum. Motor skills started catching up, she was less frustrated…wonderful. She was not identified until she was 10. She is a bright successful honors student in college now eventhough she still struggles every day. Thanks for sharing those insights Wendy, so helpful for other parents! 9. Muscles that seem loose or floppy, such that the child slouches or struggles with sitting upright for long periods of time . Children with vestibular processing delays are frequently noted to have low muscle tone. We describe children with low muscle tone as looking loose or floppy and seem to have extra movement around their joints. My child often hits her forehead with her hand or rubs or hits it with her cuddly toy. She even does it to me in a quiet time and seems to get comfort from it. The aim is definitely not to cause pain. Is this a red flag and should I get more help? She is 3 years old. YES, YES, YES! It is very likely that there is a big sensory component there. Click the sensory classroom link in the menu bar and sign up for the free course, I think it will be really helpful. If you can wait for the free videos, I think it will give you a lot of good insights, and there is also a larger much more detailed online course (no pressure though). However, getting an OT eval wouldn’t be a bad idea at all. Let me know if I can be of more help. I wish you could do this for my school district! SPD is the most misunderstood issue I see in our kids. This would be so awesome to go to a course on this!!! I think I would love it and so would all the therapists at my daughter’s daycare! She was diagnosed with sensory processing disorder and has been labeled the naughty kid! I finally had a meeting with her teachers about how to try and change things in her environment to help her. They would love for you to come and give a presentation and so would I! Any chance that could happen? We live in iowa. Oh Emily, you are so kind, and I’m so glad that the info was helpful! That’s great! I’m in Pittsburgh, so Iowa isn’t an option right now, BUT I do have an online sensory course that I co-teach. It’s amazing and would give you all the info you need. If you’d like to set up group access please email me at [email protected] You can find out more about the class here. I have a 7yo on the ASD and ranks higher up for Sensory Processing Issues (oral, clothing textures, proprioceptive and vestibular issues, etc). One notable issue is oral aversion. Would you elaborate on your phrase from #2 – “because the oral system is being overwhelmed.” He does gag when shown sauced, soupy, hash type foods. Would love to understand more. Thank you for your time and your blog. I’ve enjoyed learning for quite some time now. Of course! The oral system is compromised of taste, proprioception, and tactile. One or all of those senses may be over processing the input creating highly sensitive response. The input is so intense they gag. Gagging can become a learned response too over time. I have a whole post on oral sensory processing if you haven’t see it you can find it by clicking in the article index in the menu bar. Thanks so much for reading, glad you are here! Thank you so much Alisha! I will check them out. I believe he is over processing the second 2 you mention, but can never get to the tasting opportunity. So they are a road block to work on. Thank you!!! Right! Small baby steps, break it down so he can move forward at a pace he is comfortable with. Hi my granddaughter has just been diagnosed autistic at 4, she is now 5. She is a wild child, and hates to wear clothes, after school she strips to her pants no matter what the weather. She hats getting her hands dirty and licks her hands plus other objects (sinks, people’s faces or hands legs).